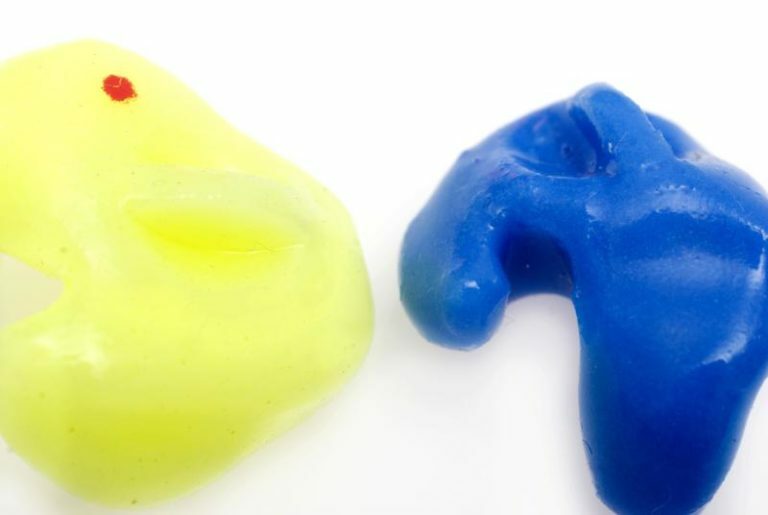 Custom swim molds offer protection from several major ear-related health problems, including ear infections and surfer’s ear. Ear infections are a problem for patients of all ages, though they’re particularly prevalent in children. By the time babies reach the age of one, 62 percent have experienced an ear infection. This number goes up to 80 percent by age three and nearly 100 percent by five. Across all age ranges in America, ear infections result in about 25 million doctor’s appointments each year. There are three main types of ear infections: acute otitis media, otitis media with effusion and otitis externa, which is also known as swimmer’s ear. Ear infections can have several different causes, but water exposure is one of the most prominent. Below is more info about these conditions, as well as exostosis (surfer’s ear). This type of ear infection causes pain, fever, redness and sometimes pus in the ear. It is typically treated with antibiotics, although medication isn’t always necessary. Acute otitis media can result from both bacterial and viral infections. This is the most common type of otitis media. It occurs when there is a buildup of fluid in the middle ear’s Eustachian tube, which then becomes infected. It is hard to detect because it doesn’t often come with painful or noticeable signs and symptoms. Medication is rarely helpful in treating otitis media with effusion, and the ears sometimes need to be drained. This is an infection of the outer ear that can cause itching, swelling and pain. Sometimes the condition’s symptoms also include elimination of a pus-like substance. Swimmer’s ear almost always needs to be treated with antibiotics. While this condition isn’t infectious between people, infected water in swimming pools and other water areas is its most common cause. Swimmer’s ear is completely preventable with the use of well-fitting custom swim plugs. Exostosis is the name for a condition that causes abnormal bone growth in the ear canal. This bone growth is usually caused by water exposure in combination with cold and wind – conditions that are commonly experienced in many outdoor water sports. Surfer’s ear can result in a blocked ear canal and ear infections. It develops over time, so precautionary measures like swim molds are the best protection for water sport athletes.